For other places with the same name, see Crucea. 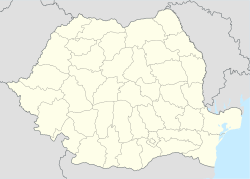 Crucea is a commune in Constanța County, Romania. At the 2011 census, Crucea had 2,768 Romanians (99.39%), 5 Roma (0.18%), 7 Turks (0.25%), 5 others (0.18%). This page was last edited on 15 August 2017, at 00:09 (UTC).